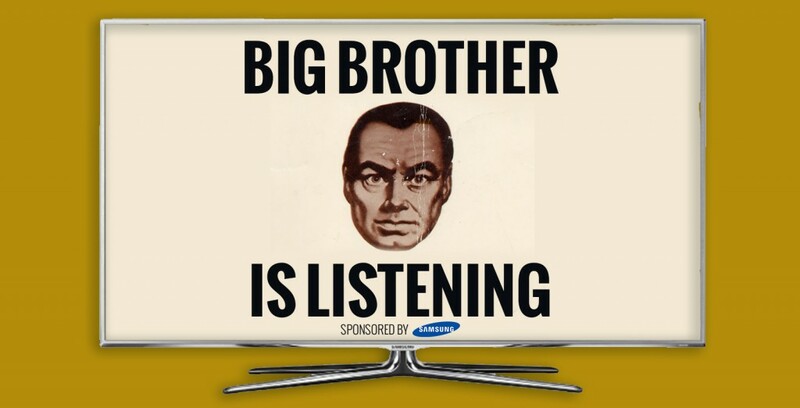 In a troubling new development in the domestic consumer surveillance debate, an investigation into Samsung Smart TVs has revealed that user voice commands are recorded, stored, and transmitted to a third party. The company even warns customers not to discuss personal or sensitive information within earshot of the device. Please be aware that if your spoken words include personal or other sensitive information, that information will be among the data captured and transmitted to a third party. There is also the concern that such information could be turned over to law enforcement or government agencies. With the revelation of the PRISM program — by which the NSA collected data from Microsoft, Google, and Facebook — and other such NSA spying programs, neither the government nor the private sector has the benefit of the doubt in claiming tech companies are not conscripted into divulging sensitive consumer info under the auspices of national security. I do not doubt that this data is important to providing customized content and convenience, but it is also incredibly personal, constitutionally protected information that should not be for sale to advertisers and should require a warrant for law enforcement to access. I sell probably 10 of these a day – does it include phones as well? What about other devices with voice recognition? I have a Samsung tablet are those included as well? We do not sell that speech data for marketing or advertising. Nuance does not have a relationship with government agencies to turn over consumer data…..There is no intention to trace these samples to specific people or users. Now this is definitely eerie. Is this legal? They do not have our permission. Gosh! This is more eerie and creepy than a F U Ramsay horror movie. Incredible snooping. It cannot be legal surely? Have to beware of these so called smart gadgets.